A microfibre outer shell with a front vent for airflow give this hat a great look. A four-point hared with padded chin strap for comfort and a quick-release buckle for easy. For additional comfort and ease of care this hat has a removable and machine washable liner. A mix of classic and modern design features will make you stand out in the crowd. This luxury edition has leather detailing, subtly matching Swarovski crystals and Alcantara for a chic luxurious look. This hat carries the BSI kitemark VG1 standard and you can pick from black, blue or brown. The sleek outer shell give this hat a truly modern look. It’s highly ventilated with triple mesh venting for superior airflow and the removable, washable head lining is made from high-tech moisture wicking material for your comfort. A four point fully adjustable synthetic leather harness holds the hat securely in place. It’s also fully adjustable with a dial adjust system for a close contact fit. 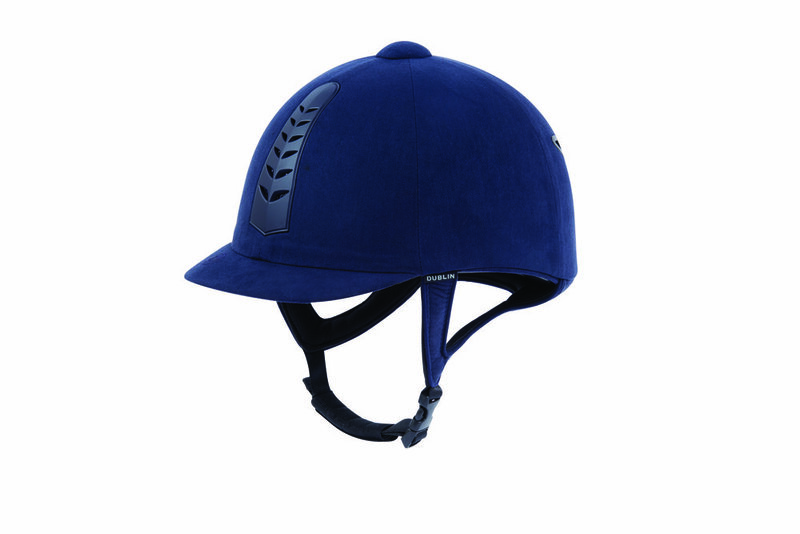 This stylish and lightweight riding helmet is suitable for both everyday wear and competition. The Conquest MkII is well ventilated and has a removable, washable lining for complete comfort and hygiene. It's Kitemarked and approved to PAS015 and comes in a choice of finishes including black, navy (matt, metallic, suedette/glitter or suedette trimmed with Swarovski Crystal finish). 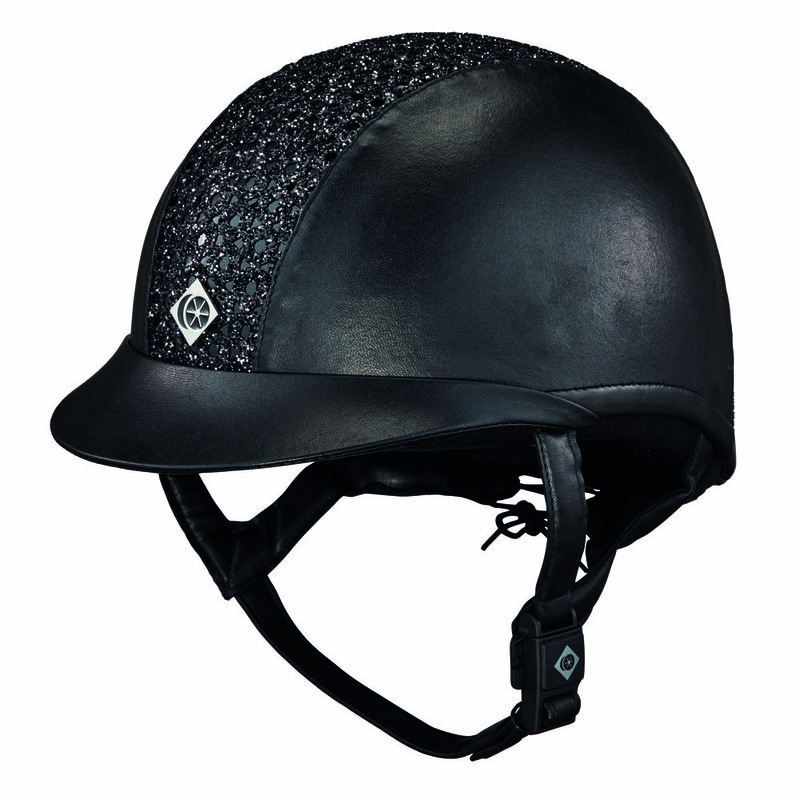 A fully ventilated sparkly helmet, this hat has 10 ventilation slots and a removable headband to keep you cool and comfortable. This hat is secured by a six-point GRpx harness. An easy snap helmet buckle features a magnet to draw the clasp together, allowing you to secure their harness with one hand. kitemarked PAS015 and VG1. CE marked to VG1, certified by SEI to ASTM F1163-15. Avaialble in navy or black in microsuede or leather look.